An exquisite collection of one, two & three bedroom apartments in Ryde. La Porta takes everything we love about nature and combines it with the best of modern living. A sense of harmonious and efficient floor plan, outdoor living, and large windows greet you as you enter. The elegance of La Porta’s lobby continues throughout every apartment, with timber floors, a fresh, neutral colour palette, and silent but effective deducted air conditioning. The kitchen is as welcoming as it is functional, with granite and Europian appliances making entertaining a delight. The quality finish of each apartment extends to the bathrooms, making each one feel like a private oasis and the ideal start and end to every day. Generous balconies not only provide further entertainment space but a place to relax and unwind. Every door you walk through at La Porta transports you to somewhere beautiful; to a better version of home. It becomes clear that the two buildings have been designed to capture the abundance of light, which seems to radiate from every aspect. The large outdoor entertaining areas allow you to enjoy wonderfully long summer days, and the large windows mean that you’re always connected to the beauty around you. 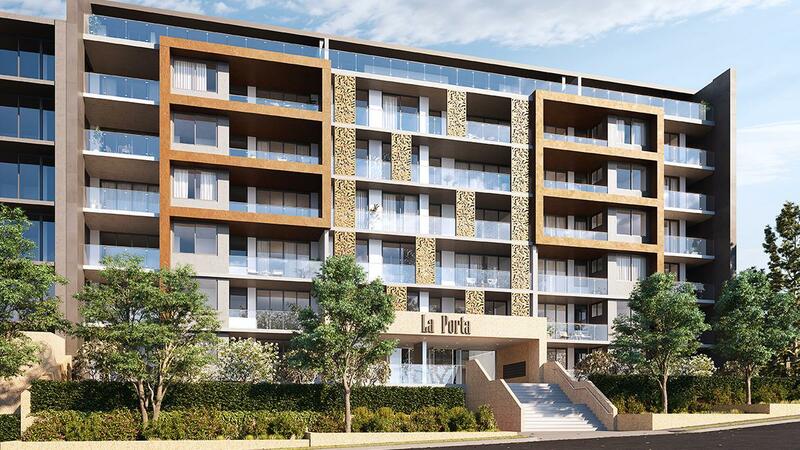 La Porta is only a 20-minute drive from Sydney CBD and a brief stroll from buses, Ryde and Meadowbank Wharves and Meadowbank Train Station, with Macquarie, North Sydney and Chatswood also close by. La Porta is close to some of the best shopping destinations Sydney has to offer. Top Ryde City, Rhodes and nearby retail giant Macquarie Centre provide a truly modern shopping experience, with everything from boutiques to designer labels, as well as cafés, restaurants, cinemas and enough to keep kids entertained. The villages of Meadowbank and West Ryde are warm and welcoming, with fresh produce, fashion outlets, and local food favourites.